Make offers three lipstick finishes: matte, cream, and satin (delicate shimmer). I got to try one of the Silk Creme lipsticks in Maraschino Cherry, a rich red with a somewhat rosy/pink leaning (more evident on the lips than in the tube). It's a classic color and a classic elegant finish. 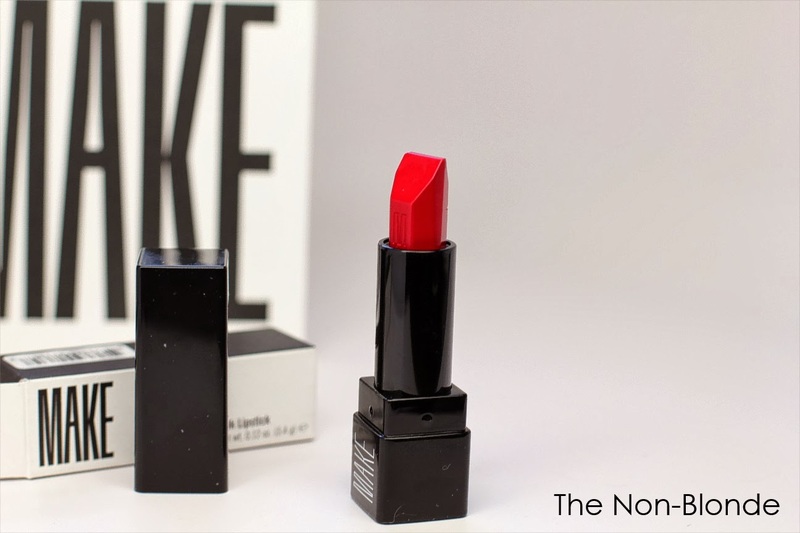 The texture of Make's Silk Creme Lipstick is as smooth as you'd expect. 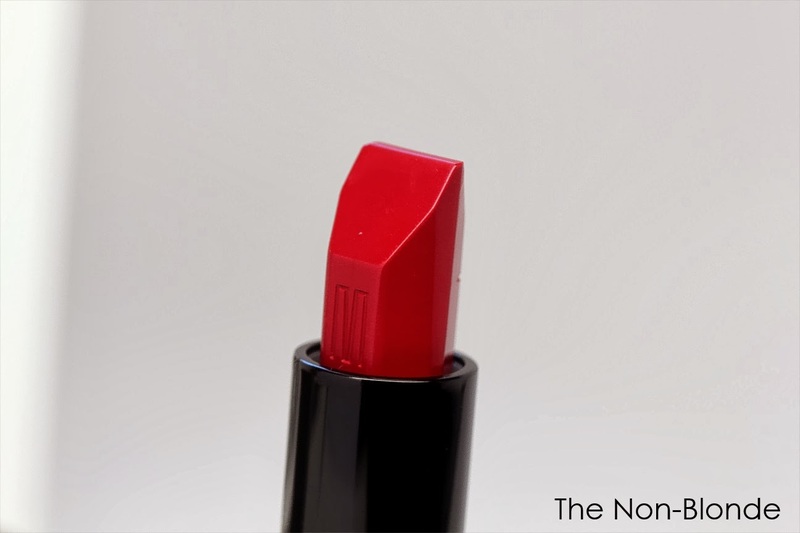 There's not all that much slip when applied from the bullet, so the product and the color adhere to the lips instantly and precisely. I prefer to use a brush, though, because Maraschino Cherry is an intense color that benefits from a precise application. I get an even and long lasting (about four hours and a cup of tea) wear from two thin coats of color. I find the lipstick reasonably emollient, but it's not moisturizing, so you'll need to prep and make sure your lips are well-hydrated. Make actually offers a lip primer which I'm curious to try. My guess is that it's the perfect companion to these pigment-saturated lipsticks. Make Maraschino Cherry Silk Creme Lipstick ($25) is available at select Barneys locations, barneys.com, and directly from the company's website, weseebeauty.com, where 33.3% of each purchase will directly benefit the WE SEE BEAUTY Foundation, a non-profit organization that funds women-led co-ops in the US. Over the weekend ordered the Scarlet Oak (described as a bright crimson) in this formula - was trusting it would be wonderful and am glad to see your review of it. 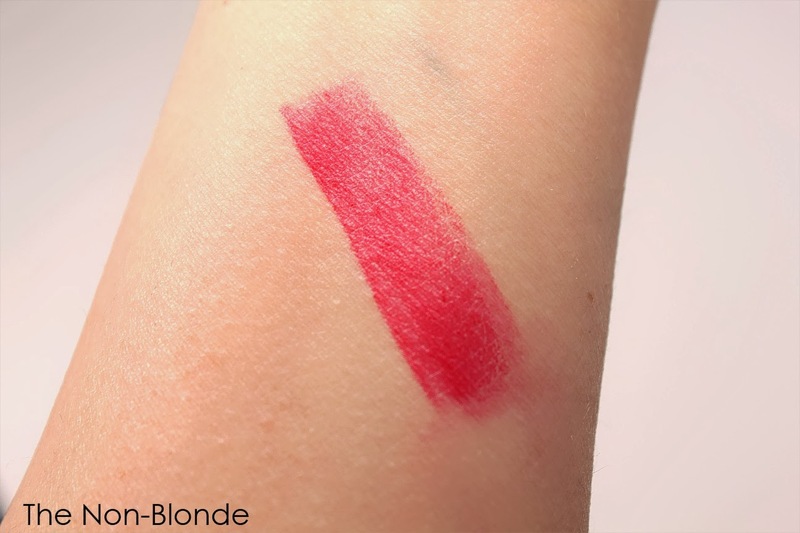 Think I'm going to have to get this one as well - looks fantastic in your swatch - and am also still looking at the Silk Satin Solar Flare (red) and Miami Beach (a coral orange which may look horrible on my lips, but am having a total craving for this color).